Cheryl Babo was born in Youngstown, Ohio, but has spent most of her adult life in Phoenix, Arizona. Cheryl and her husband, Keith, are the parents of two children — Ryan Anthony Babo, who was born on February 19, 2002, and Regan Audrey Babo, who was born on March 9, 2005. 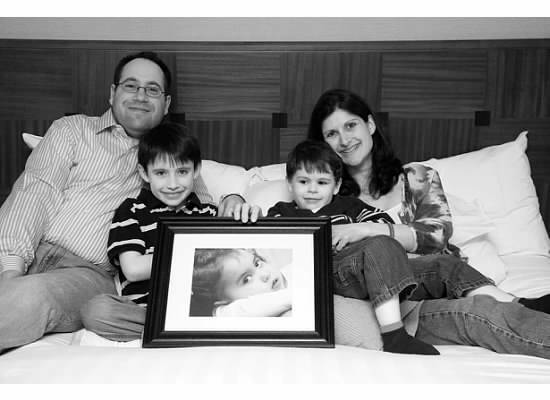 Cheryl's son Ryan was diagnosed with juvenile onset Tay-Sachs disease in March 2005, at the age of 3 years old. Two months later, Ryan received a cord blood transplant at University Medical Center in Tucson, Arizona. 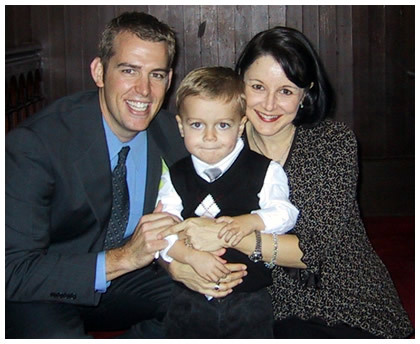 Ryan died as a result of transplant complications four months later on August 30, 2005. Cheryl attended Arizona State University, where she obtained her undergraduate degree (B.A., Philosophy 1990), law degree (J.D. 1993), and joint business administration and information management degrees (M.B.A./M.S.I.M. 2001). She spent the first part of her legal career as a commercial litigation attorney, focusing primarily in the area of complex civil actions. After her son's diagnosis and death, Cheryl changed her career focus and now practices exclusively in the area of life sciences law. She currently is employed as Assistant Counsel for The Translational Genomics Research Institute (TGen) in Phoenix, Arizona and Of Counsel for Life Sciences Law, PLLC in Chapel Hill, North Carolina. Married to Dave Luce with one child ï¿¿ Riley (aka Princess Riley Bear) and they live in Coldwater, MI. 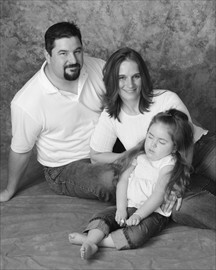 Riley was born September 27, 2002 and was diagnosed with Sandhoff Disease, she passed away November 4, 2008. Nicole, her family and friends have put on several fund raising events ï¿¿ most notably the Annual Princess Riley Bear Golf Outing which has been held 7 years in a row. To date her events have raised $107,085 donated to the CTSF!! Nicole has been the Office Manager/Financial Assistant at Morrison Financial Group for the past 21 years and has been on the Community Health Center Foundation Annual Support Committee since 2010. Dave and his wife, Julie Rabinowitz, from River Edge, New Jersey are the proud parents of four children, Jake, Emma, Zack, and Will. Our daughter, Emma, who was born on May 17th 2004, was diagnosed with Infantile Tay-Sachs at the age of 8 months in January 2005. Emma passed away after a long courageous battle, 3 months shy of her 7th birthday. Since 2008, Dave and Julie have organized fundraising and awareness events with the River Edge School system, Paramus Jewish Community Center, and the local business community. These events, which have been held annually, have raised over $34,000, all of which has been donated to the Cure Tay-Sachs Foundation. Dave received a BS/International Relations from Syracuse University in 1993 and a MS/ Information Systems from Pace University in 1997. Since graduating, Dave has held various technology and management positions at Coopers & Lybrand, Prudential Securities, Prudential Financial, and Citigroup. He is currently employed as a Project Manager at ADP. Rick Karl (right) is one of two proud fathers of Krystie Anna Karl-Steiger. Krystie was born on January 26th, 2006 (and was a great birthday gift for her Dad who shares that same date). 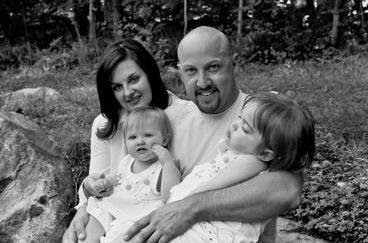 Krystie was diagnosed with Tay Sachs disease just before her first birthday. Rick and family are currently living in Minneapolis, where Krystie has received a cord blood stem cell transplant in hopes of halting the disease. They hope to return to their home in California sometime in December, 2007. Krystie is doing relatively well, and is in the midst of some very significant post-transplant rehabilitative therapy. Rick is an IT sales consultant with the Teradata division of the NCR Corporation, and has spent most of his career in manufacturing management. He works with Fortune 500 firms to help them understand and manage the large amount of data that resides throughout any large organization.